Our Highest Excursion by Far! This is not a cultural excursion like our others, but we offer it because of the beauty and significance of Morocco’s highest peak. 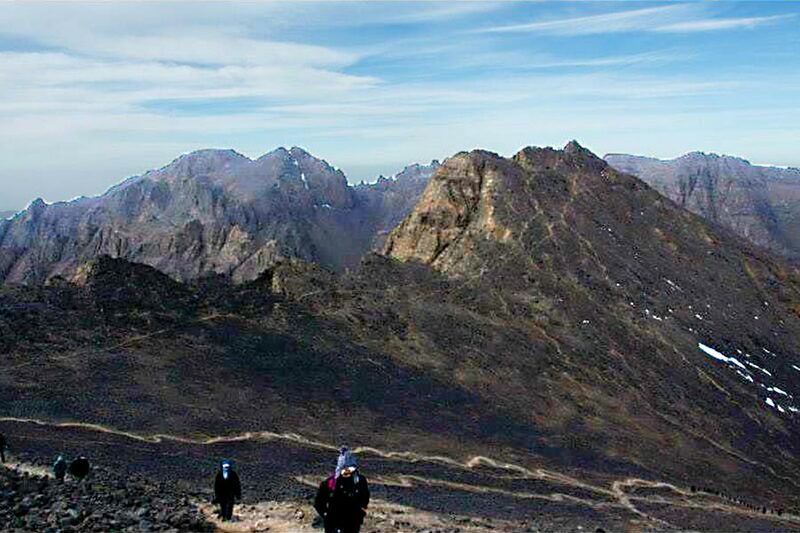 Mount Toubkal (4167m), the highest peak in North Africa, is the primary destination of thousands who come trekking in Morocco. 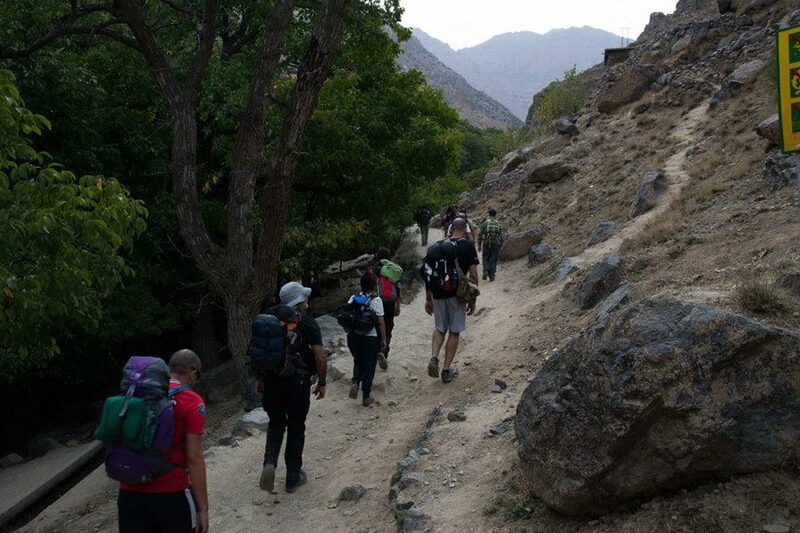 The base camp starting point, the mountain village of Imlil, can be reached in about 1 ½ hours drive from Marrakech. 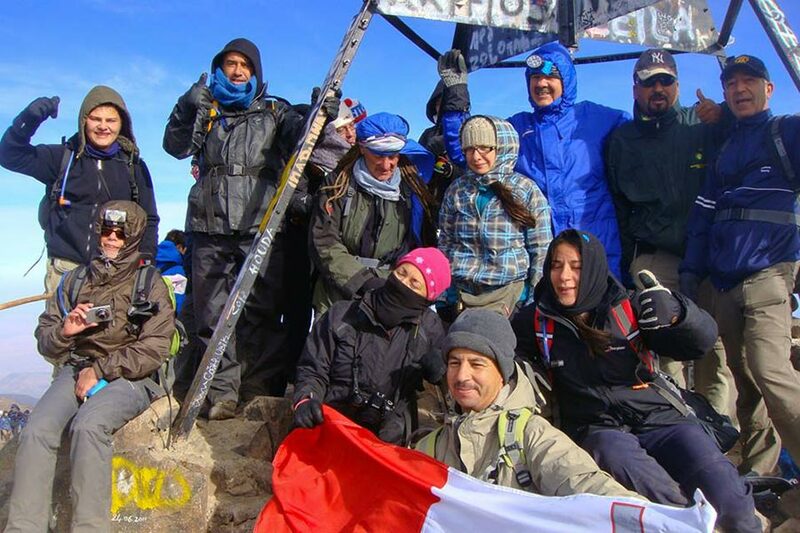 From there, the walking route up to the summit can normally be completed in about three days—though at some risk of altitude sickness. 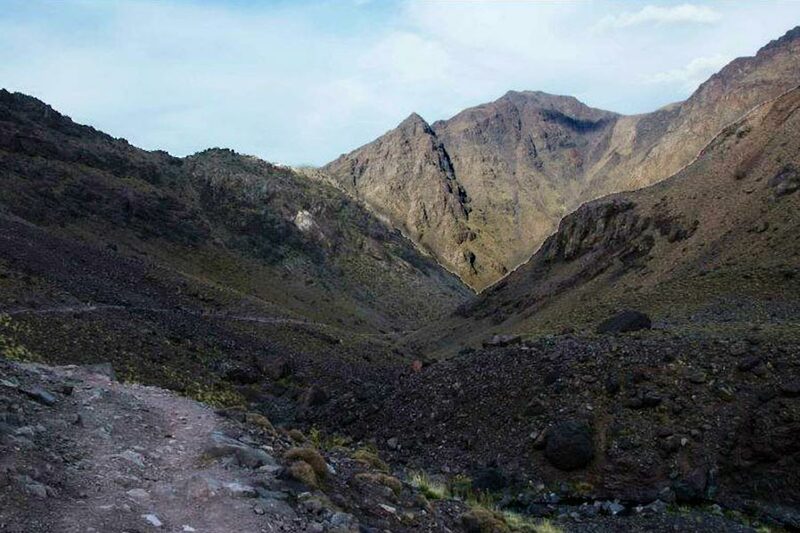 If you feel unable to tackle the ascent of Toubkal, it’s possible to have a genuine taste of the mountains by spending time exploring the lower hills in the Amizmiz area through our two day overnight excursion as well. Drive from Marrakech to Imlil (el. 1740m). Here we meet our multeers and pack our supplies (bags, water, and food) for three days. Start trekking, after a 3 hour walk we stop for lunch at Chamharouch. Continue the trek for another 2-3 hours, arrivivg at the refuge (el. 3200m) for dinner and overnight stay. Wake up early around 4 AM. 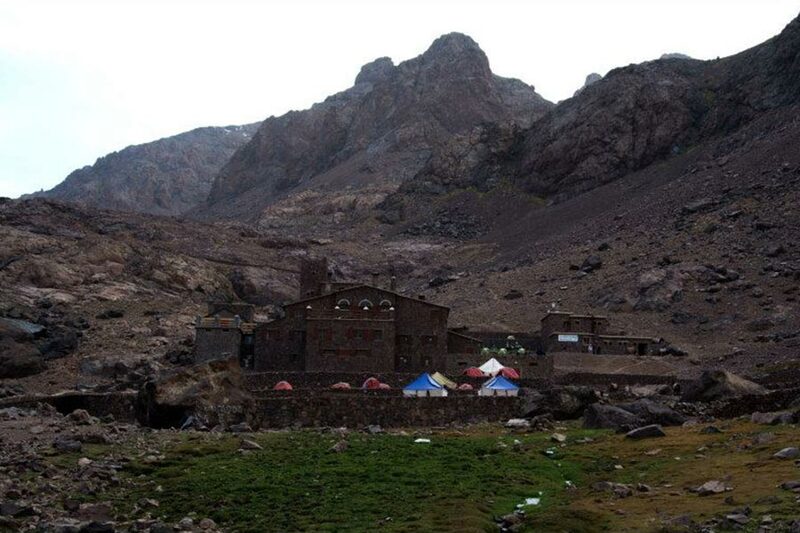 Have breakfast then start ascending Toubkal summit (el. 4167m). Return back down to the refuge for another night. After breakfast, hike back down to Imlil. Have lunch, then return to Marrakech.